Try Inventor LT™ 3D mechanical CAD software as a stand-alone, or together with AutoCAD LT® in AutoCAD® Inventor LT™ Suite. Get started with 3D mechanical CAD. Download a free 30-day trial and try it out. Purchase options include flexible subscription terms to fit your needs. 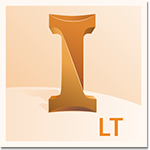 Inventor LT Add 3D mechanical CAD into 2D workflows with part-level parametric modeling. AutoCAD Inventor LT Suite Get Inventor LT and AutoCAD LT at a great value. Create 2D drawings faster and with precision with AutoCAD LT.